The best synthetic gear oil. Can I use synthetic motor oil in an older VW? Downsized turbo engines use more motor oil. Do downsized turbo engines use more motor oil? Whilst manufacturers strive to meet stricter emissions regulations and higher customer expectations the resultant downsized turbo engines use more motor oil. Maybe it’s not quite true to say the downsizing results in higher consumption – it’s more the higher cylinder BMEP’s and thinner ring packs that create the problem. These are the downsides to turbocharged engines. This information is corroborated by a recently released report from American company “Consumer Reports”. Report finds that downsized turbo engines use more motor oil. The Consumer Report revealed that consumers claim newer Audi, BMW, Subaru models use more oil, although not always fitted with downsized engines. These newer models from Audi, BMW and Subaru were found to burn more motor oil between routine oil changes, leading to speculation that downsized turbo engines use more motor oil. The magazine’s 2014 Annual Auto Survey found that a significant number of consumers with vehicles from the 2010 to 2014 model years have to add a quart of oil to their engines as frequently as every month. Audi’s 2.0-liter turbocharged four-cylinder and 3.0-liter V-6. BMW’s 4.8-liter V-8 and twin-turbocharged 4.4-liter V-8. Subaru’s 3.6-liter six-cylinder and 2.0- and 2.5-liter four-cylinders. Some of the models with these engines include Audi’s A3, A4, A5, A6 and Q5; BMW’s 5, 6 and 7 series and X5; and Subaru’s Outback, Legacy, Forester and Impreza. 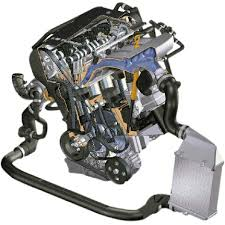 As can be seen by these results downsized turbo engines use more motor oil. While the magazine said it didn’t find a direct connection between increased oil consumption and other engine problems, it found that excessive oil burning early in a vehicle’s life leads to increased oil consumption over time. Cost is the real issue when downsized turbo engines use more motor oil. The real issue for consumers when downsized turbo engines use more motor oil is cost. Consumer Reports cites increased requirement for synthetic oil, which can cost up to R150 per litre, and more frequent motor oil top-ups as expenses related to excessive oil consumption. Owners of BMW 5-series cars equipped with V-8 engines were 27 times as likely to have excessive oil consumption as owners of an average vehicle in the survey. BMW attributes oil top-up frequency to the luxury vehicles’ long intervals between oil changes -- 10,000 miles -- and BMW engines may consume up to 1 litre of engine oil per 1000Km under certain driving conditions. The traditional oil-change frequency recommendation was every 10,000Km, but fine-tuning in engine manufacturing and oil technology has led some automakers to extend that to 15,000Km. “Oil consumption is normal on all engines as it is necessary to properly lubricate the cylinder walls, pistons, piston rings, valves and turbochargers,” BMW spokesman Hector Arellano-Belloc wrote in an email. Lawsuits arise when downsized turbo engines use more motor oil. Subaru spokesman Michael McHale said the automaker’s internal data show that “much less than 1 percent” of its vehicles are criticized by customers for excessive oil consumption, but the automaker is in the midst of a class-action lawsuit regarding the issue. The class-action alleges that Subaru models equipped with the 2.0- and 2.5-liter engines may contain defective piston rings in the engine, which causes excessive oil consumption. He said the Subaru owner’s manual indicates a normal consumption example of 1 quart per 1,200 miles. Audi’s downsized turbo engines use more motor oil than average. In North America a class-action lawsuit filed by consumers alleged that Audi’s 2.0-liter downsized turbo engines use more motor oil because of a defect that caused them to consume excessive amounts of oil. A settlement was reached last month. Audi was not required to admit liability or wrongdoing in the settlement, but the automaker will have to extend warranties on affected vehicles to 80,000 miles. Affected vehicles are eligible for engine adjustments to control oil consumption under the settlement, and Audi is expected to reimburse the plaintiffs for service adjustments performed on the affected vehicles before the settlement. Because of the additional loads placed on high performance modern engines downsized turbo engines use more motor oil, but this can be optimised through the use of a high quality synthetic lubricant such as that produced by Habot Oil. Call the professionals at Habot Oil for expert advice about your motor oil requirements.